As a journey of a thousand miles starts with a single step, so does the long walk of marriage start with marking a first anniversary! It is such an important occasion as in offers an insight into what it is like to reach the very first milestone as a married couple. It is also significant in that it serves as a benchmark of your marriage status so far. It is fondly known as the Paper Anniversary. 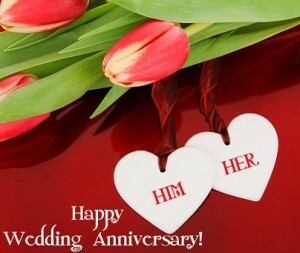 Are you looking for anniversary gift ideas that can offer an allusion to potent gifts for this occasion. Then, you must be in a right place. Here, I’ll give you some tips and ideas on what to get for your partner on your first wedding anniversary. Read on to find out more. Stereotypically, women are referred to as emotional beings. This is due to their incessant ability to seek a personal connection in their course of interaction. As such, they respond quite warmly to gifts with sentimental value. It is thus imperative to offer a gift that sends a message of appreciation and at the same time symbolizes your value and commitment to the marriage. You can never reassure a young wife enough that you are there for the long haul. A number of gifts can evoke this emotional connection when given to your partner for the first anniversary. It is almost impossible to go wrong with jewelry for her. You need to know her taste and probably if she is allergic to any type of mineral. For the first anniversary, a necklace or earrings will almost always make the grade. You could go an extra step to add a personal touch by engraving a special symbolic message like; ‘First of Many’. This not only assures her that you are going be around for the long term but also that she can expect many more gifts of appreciation from you. Women have a high affinity for sweet floral fragrances and a nice perfume or cologne would come in handy. A majority of women also wear make-up. For a young couple, the lady may at times be uncertain of her husband’s opinion of such things as wearing make-up. There is no better way to give your opinion on the subject than by giving her a make-up kit. A personalized gift essentially expresses your feelings towards her. It is a non verbal conversation only that instead of the conventional words, your gift does the talking. In this case, it could be an engraved plaque, glass or plate. The engraving preferably ought to be a short romantic poem. In most instances, ladies have a field day choosing anniversary gifts for their guys. The only must knowledge is the understanding that ‘boys will always be boys’! By nature, men are mostly simple and as long as a lady knows the things that guys universally treasure, they will most certainly get it right. This is because, across the board, many share many similar tastes. So, get it right with these anniversary gift ideas for your one and only hubby dubby! Men simply have a thing for technology and by extension, electronics. They are basically their toys or play things. You can certainly be sure that a simple gift such as a mobile phone, an iPod, a watch or even the latest video game in the market, will earn you marks. For the real techie, such gift as a high graphics laptop would be ideal. Many men appreciate antiques and art collections a great deal. The lady only needs to know the kind of art collection he is into and the kind of antiques that makes him tick. While not excessively going overboard, you can pick something of high significance to him. Adding some wedding anniversary wishes on it will be great! You can be pretty sure that he will cherish and value the gift eternally. It basically becomes priceless to him and for sale at no price whatsoever. Men’s appetite for sports is fundamentally insatiable. In most cases than not, a man will have a favorite sport. It could range from track and field sport to board sport. A lady only needs to know her partner’s sport of choice and consequently buy a corresponding gift. If he is into board games, it means he can most probably play the game and he is no mere spectator. It would be ideal to get him a board, say, for chess, dominoes or darts. If he is into soccer or rugby, an original replica jersey of his favorite team will do the trick. If your man is to such sports as swimming, lawn tennis or badminton, getting him a membership into the local club will almost certainly work. For the perennial baseball lover, an autographed baseball of his favorite player, on top of getting him a jersey, will wok magic. Have a happy first wedding anniversary. Make a wise choice of gift. Remember, your choice might be decisive in deciding the fate of your young marriage; and you sure don’t want to get it all wrong at the first time of asking. And in all instances, a First Anniversary Card is a must!